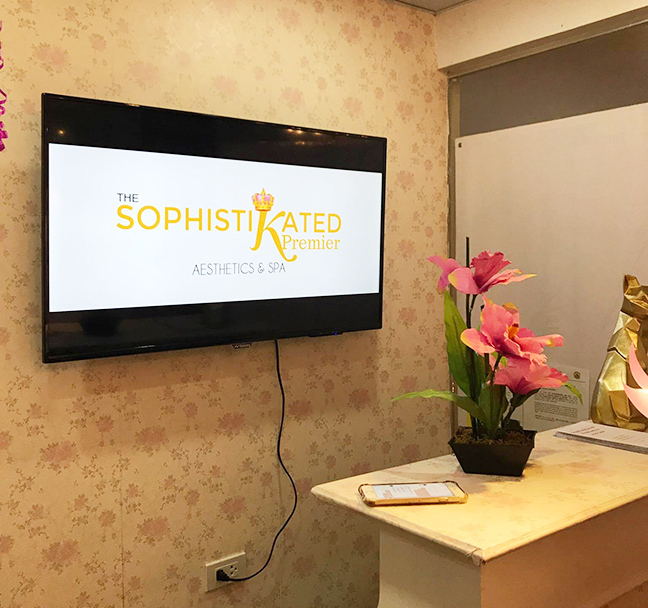 Last September 18, 2017 the Cebu Beauty Bloggers were invited to the Grand Opening of the first branch in Cebu for the SophistiKated Aesthetics and Spa. They are located at the 2nd Floor of Mabolo Royal Hotel. 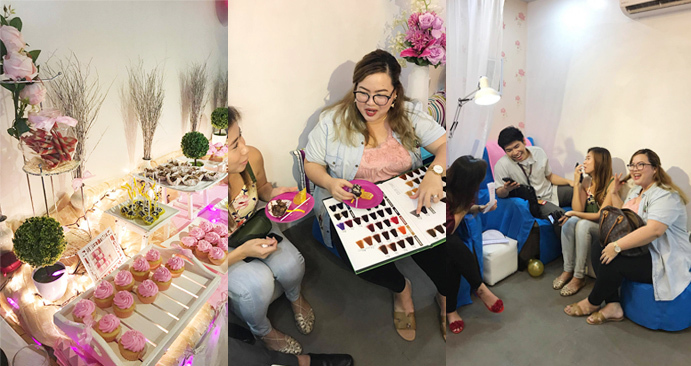 I got to experience a couple of their services plus munch on some sweets and had fun with my fellow beauty enthusiasts. We also had a bit of chitchat going on here while choosing what services we want to try. You may already be familiar with some our very own Youtubers like Christian, Philline and Chinky. So it was so much fun to be hanging out with this bunch. As for me, I decided to try their Hair Mask Treatment. It made my hair super soft, smooth and really shiny, but still with volume and did not look flat at all. 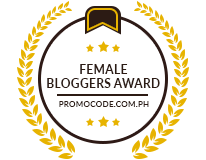 I'm really happy with the end result and this service only costs Php 349, awesome deal! Also, after 4 days my hair still remained super soft and shiny. I just used a shampoo that is Sodium Chloride-free, which you can get from them as well. I also tried their Ear Candling service. I was quite curious how this works and was surprised at how it quick it was, probably took about 15 minutes. 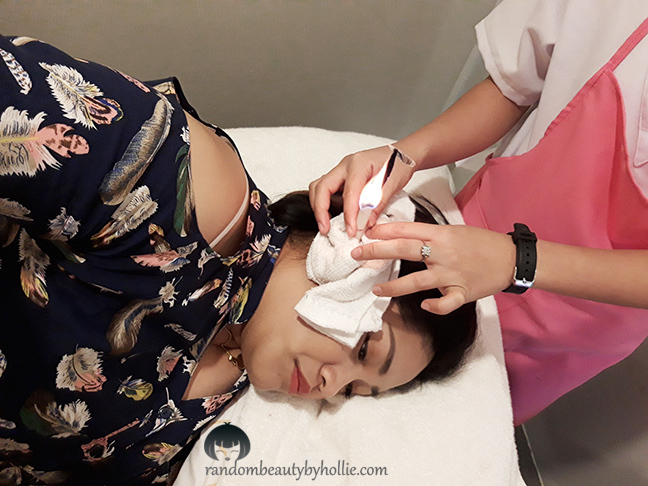 Their Ear Candling service only costs Php149, wow! Anyway, I just laid on one side, then they placed some type of candle paper formed into a cylinder, small enough to fit inside my ear. I swear, it does not hurt at all. I actually almost fell as sleep while waiting for it to finish. You almost won't feel a thing, you'll just hear the candle paper burning. When it's done, you'll be surprised how much ear wax got sucked into the candle paper. 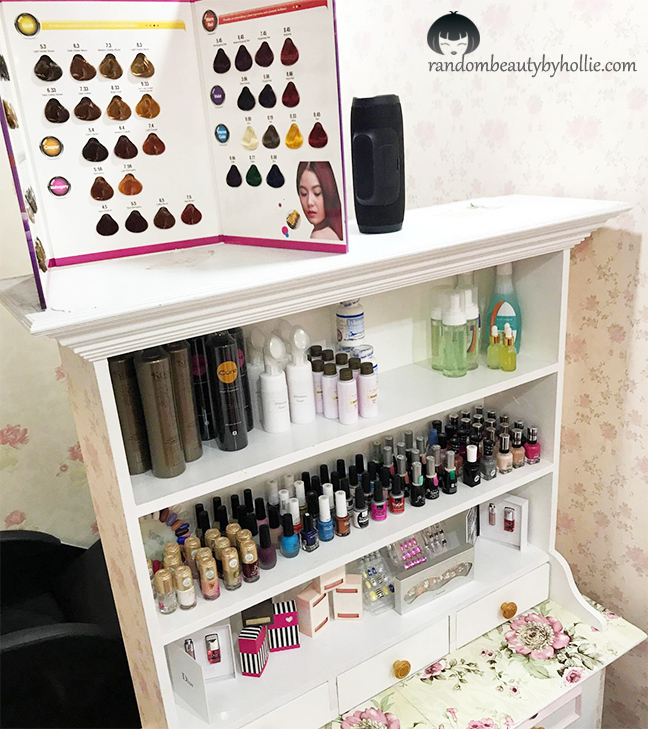 Apart from Hair Services, they also offer a lot of Hand and Foot services like Hand Spa with Manicure and Mask for only Php249. They even offer Paraffin Wax. These are just few of their services. It's basically a one stop shop beauty spa. 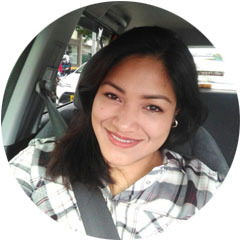 I plan to try more of their other services in the coming weeks since everything is really affordable. Overall, I had a great experience during my visit. So we'll see if the staff will be doing a great job as well on my other visits when I try their aesthetics services. Follow then on Facebook @sophistikatedaestheticsandspa for reservations and price list.